It’s impossible to think about the start of a new year and not think about new beginnings or ways to continue to improve. If you are a substance abuse counselor, you are likely wondering how to apply this mindset to your practice. In fact, you might be wondering how you can improve your connection with your clients, how you can stay on top of the latest research, or what mistakes you want to avoid in the future. The following tips will help you make some positive changes in the upcoming year. 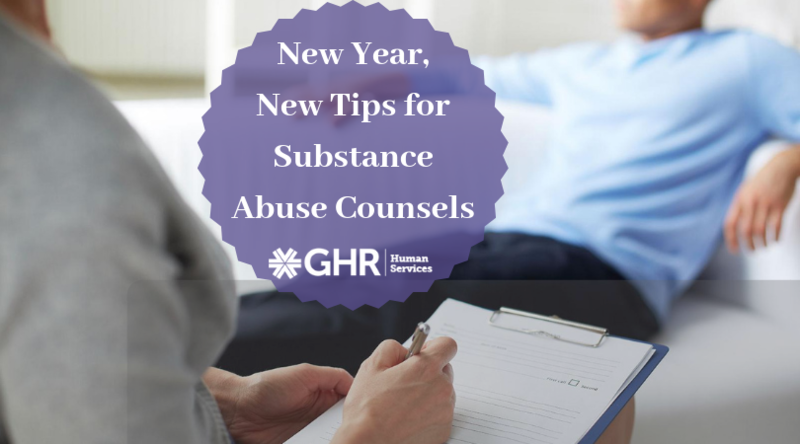 As a substance abuse counselor, you likely develop very close relationships with your clients. However, it is important to never forget your role as a counselor and your ultimate goal of assisting your client. This means that you should develop skills that build trust between you and your client. But ultimately, your clients should take charge of his or her recovery. Remind yourself that your role in their recovery process is to show support and compassion, and to guide them towards a clean and sober lifestyle. Science and medicine have come a long way in terms of counseling and the psychology of addiction. Nevertheless, there is still much more to uncover, and our colleagues are consistently discovering new things about this practice area. As a result, it is essential to continually check in with the most recent studies, findings and updates in the community to stay apprised of the latest information. Combing through scientific literature can become time-consuming, or can pile up quickly if you do not stay on top of it. We recommend reserving part of your day to take a break from your clients and do a bit of reading. In the end, this ensures that you are helping your clients by using the most recent methods and treatment strategies to better assist their recovery. Sometimes substance abuse counselors are so engaged with checking in with their clients that they can forget to check in with themselves. Self-evaluating encompasses a number of things. It can range from simply evaluating your average weekly workload, to closely thinking through what transpired during a counseling session with a client. Self-evaluation is a great tool to guide you in considering areas of improvement, identifying where changes could happen or recognizing various tactics that worked well or benefitted your clients. Taking mental or physical notes from time to time on your own performance will help you continue to be the best counselor you possibly can be. In your role, there are many job duties that you have to balance throughout the day. It is essential to make sure that these duties never cause you too much stress. When it comes to managing stress, it is perfectly acceptable to do little favors for yourself to keep your workload in check and stay on top of everything. For example, try saving some of your favorite job duties for the end of the day. This way, you will finish all of your least favorite duties first and have something to look forward to later. Another good tip for when you are feeling overwhelmed is to take a five-minute break to walk away from your desk, get a breath of fresh air and reset your mind. Practicing stress management will allow you to be a more effective counselor in 2019. New year’s resolutions do not have to be limited to personal goals that pertain to things outside your job. Personal goals in a career setting are also acceptable new year’s resolutions. These goals can be small like organizing your desk, or monumental like making a bigger effort to connect with co-workers or completely re-vamping your workday schedule. Regardless of what your ultimate goal is, you are more likely to succeed in achieving that goal if you take the time to make a plan and stick to it. Following through on goals you set for yourself will continue to motivate you throughout your career. Implementing even just a few of these tips in the upcoming year can help you build confidence in your work and maintain good relationships with your clients. With a little extra effort and work, 2019 can be your best year yet.